Broad-Leaf Wattles ( Acacia species, MIMOSACEAE ). The caterpillar constructs and lives in a shelter made of two irregular pieces of dead phyllode joined by silk. 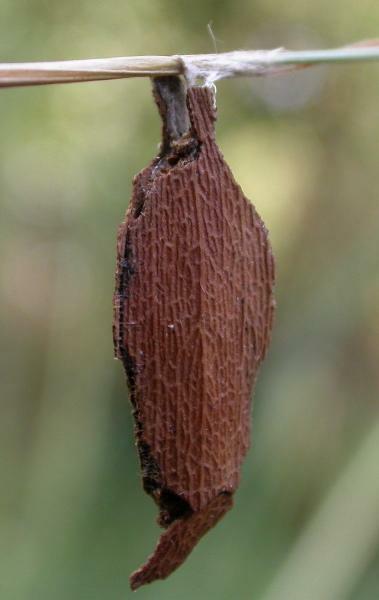 The cocoon of this species is dark brown and formed inside its shelter and is hung from a suitable stem. 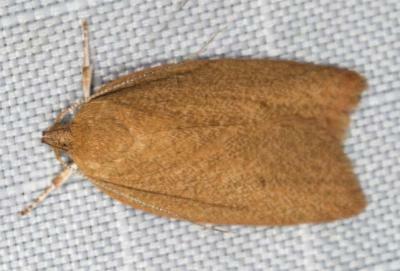 It has a length of about 3.5 cms. The adult moth has plain dark brown forewings, each often with one or two vague dark spots The hindwings are plain pale yellow. The wingspan is about 2 cms. CSIRO Publishing, Melbourne 1994, pp. 29, 258, 262-265. Volume 20 (1896) p. 5.